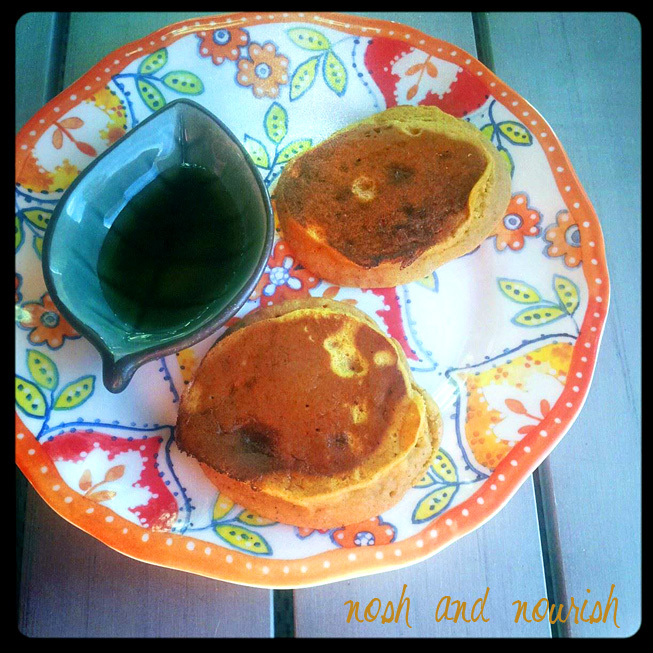 Noticing a lot of pumpkin recipes in the blogosphere? The truth is, I love pumpkin and bought cans upon cans upon cans of organic pumpkin puree at Costco! I used 15 ounces in Wednesday's Creamy Pumpkin BBQ Sauce, a cup in this autumn chili, another 3/4 cup in these pancakes, and will have plenty leftover for another batch of these dark chocolate pumpkin pie bites. That is what I call a stellar week! Kid Tip: I have found that Babycakes uses waaaaaaaaaaaaaay less maple syrup if she's able to dip her pancakes rather than drowning them in syrup. And sometimes I even have her dip them in vanilla greek yogurt! 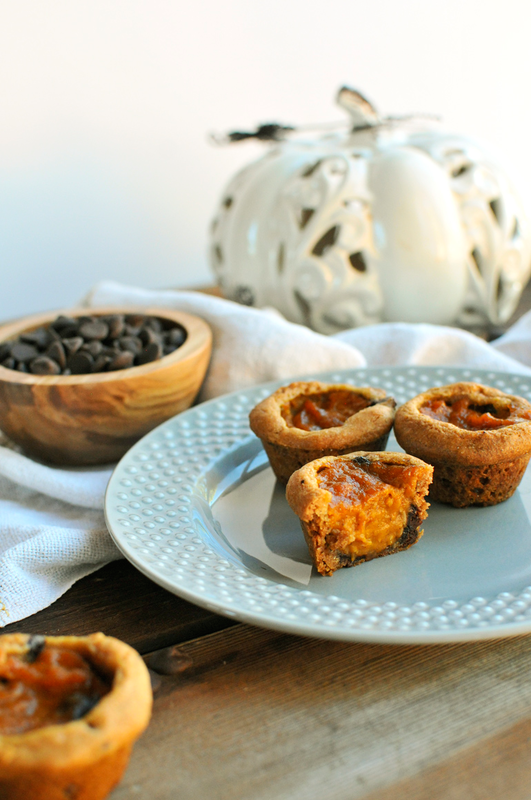 If you love pumpkin as much as I do, you'll definitely want to try these dark chocolate pumpkin pie bites! 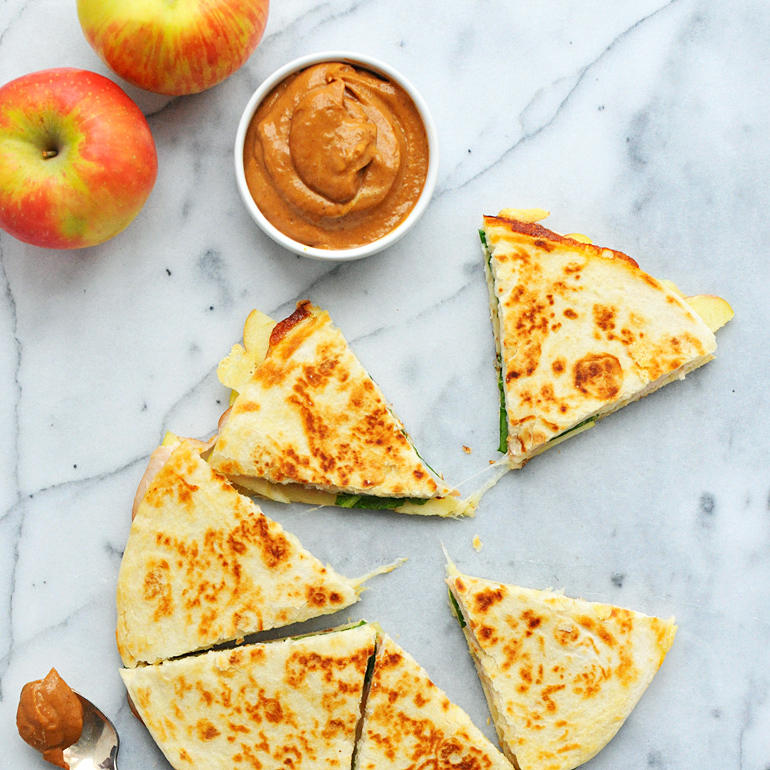 Or if you're in more of a savory mood, try my Turkey & Apple Quesadillas with Creamy Pumpkin BBQ Sauce! 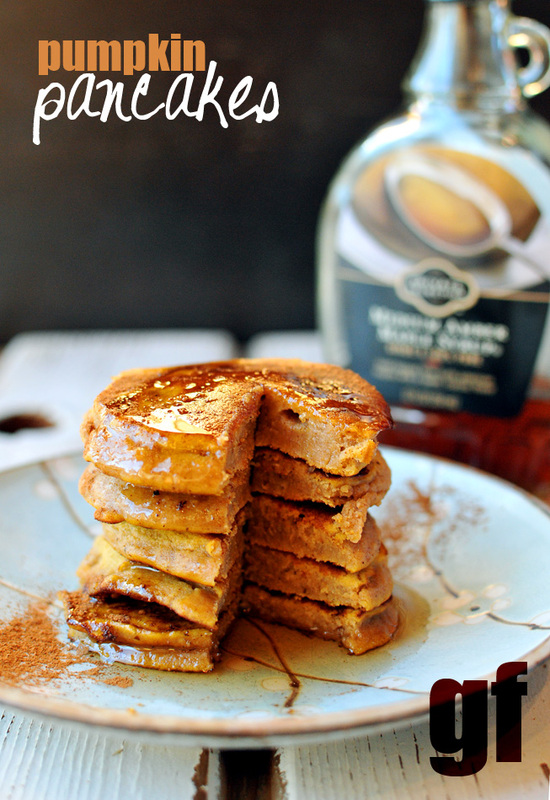 What's your favorite pumpkin-flavored recipe/item?